Are the forks on the left, or the right? 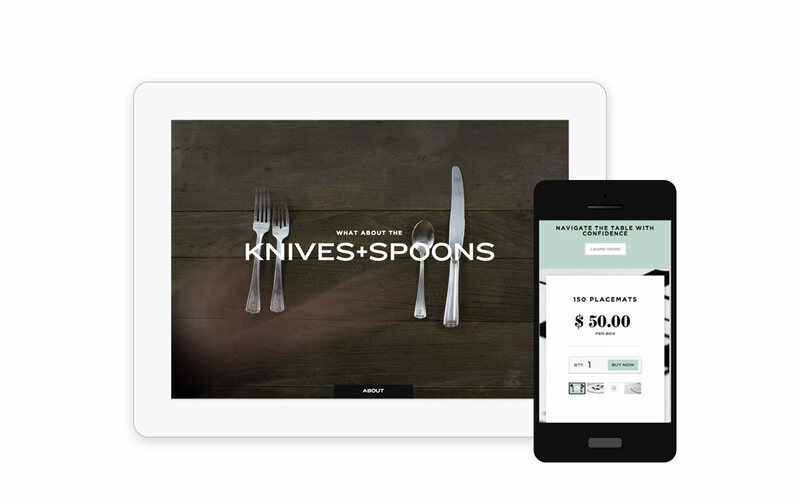 Knowing how to properly identify your silverware placement can be surprisingly overwhelming. 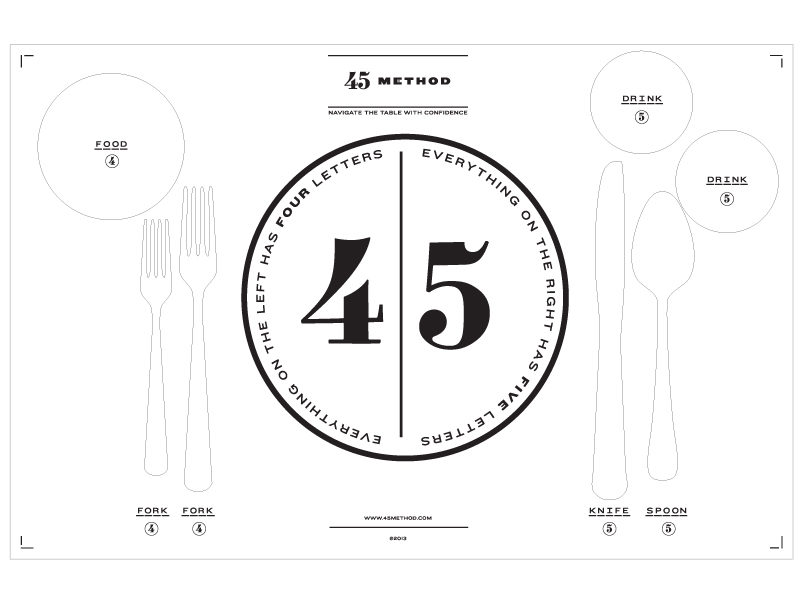 45Method, a series of paper placemats, was created to relieve the stress around setting the dinner table. Interior designer Anne Coyle contracted 11hundred to help bring the idea to life. Now you can finally enjoy yourself at dinner. Right: Typography examples used on placemats. The placemat and packaging were designed to elevate the paper placemat from throwaway checkerboard print. 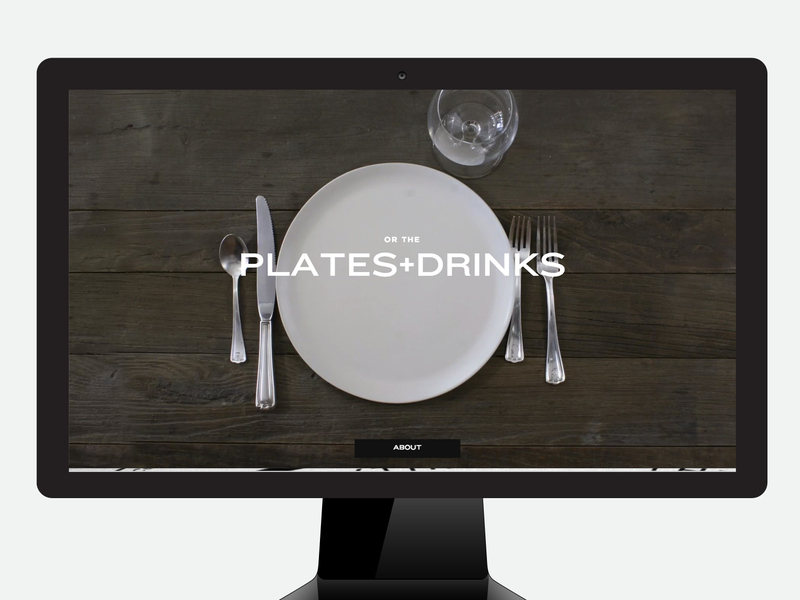 Available for purchase in boutiques, the brand expression was continued online with an e-commerce site allowing users to purchase the placemats directly. In approaching the site, we used stop-motion animation and large graphic copy to explain the problem and demonstrate the solution that the 45method provides. The website is mobile and tablet friendly. We are currently collaborating on ways to extend the line, including other product types.